Helping People on their Hunt for Life! Oct. 9, 2019 Sportsman’s Hunt teams are SOLD OUT! What is the Hunt 4 Life Foundation? At Hunt 4 Life, we are grounded in the belief that at some point every person is searching to figure out their real purpose in life. Why are we here to begin with? Hunt 4 Life Foundation is a 501(c)(3) non-profit organization that provides financial support primarily to wounded veteran and youth-focused organizations. 100% of donations we receive go to our causes! We also offer events and activities aimed at assisting people on their personal hunt for life. Two of the primary goals for this year's event are to raise the funding to send 10 military couples to the Operation Heal Our Patriots Marriage Program in Alaska in June ($6k per couple), and send 2-3 kids on their dream hunt of a lifetime ($10k). Since 2004, we have raised and donated over $500,000 to great causes through our Sportsman's Charity Hunt as well as through other coordinated outings where action is taken to help those in need. Our events sell out every year and we receive outstanding feedback. Our participants enjoy a fun and competitive day of hunting along with world class facilities and food, followed by inspirational speakers and real life stories that truly touch the hearts of all in attendance. The 2019 Charity Hunt scheduled for February 7 had to be postponed until October, 2019. This video explains why and tells the story of what happened that day. The 2019 Sportsman’s Charity Hunt is coming up Oct. 9, 2019. Team registration is sold out, but you can still sponsor or donate! Our October charity hunt featured speaker will be Uncle Si from the Duck Dynasty TV series! Our speaker for the October charity hunt will be Silas Merritt Robertson (born April 27, 1948), known as Si Robertson and often referred to as "Uncle Si" on the Duck Dynasty TV series. He is an American television personality, preacher, hunter, outdoorsman, retired U.S. Army soldier (service in Vietnam), and a retired duck-call maker at Duck Commander. A native of Louisiana, he is the brother of Phil Robertson. The 2019 Sportsman's Charity Hunt will be held on Wednesday, Oct. 9th at Milford Hills Hunt Club, a premier hunt club in Wisconsin. Crazy Fun, Awesome Food, Contests & More! 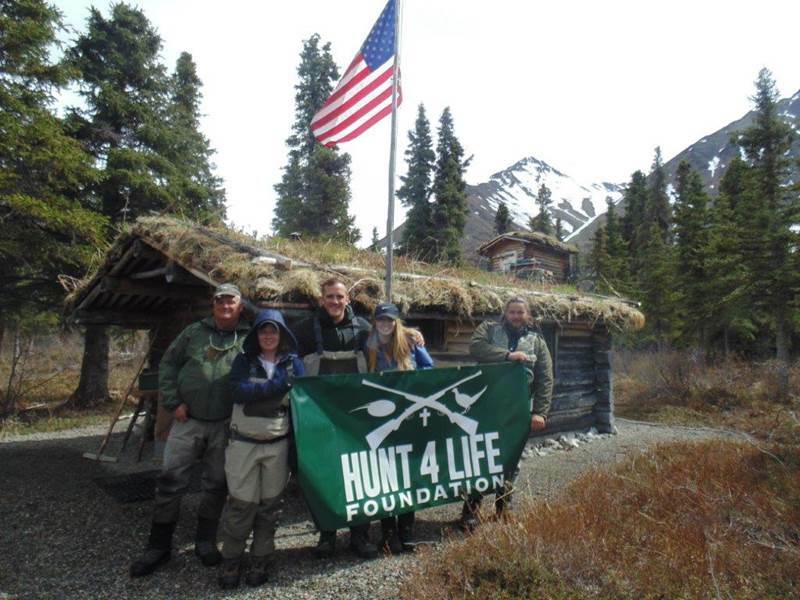 Since 2004 Hunt 4 Life Foundation has raised and donated over $500,000 for great causes! One of our "long shot" goals is to figure out how to raise $1,000,000 in one hunt event! Join us for an unforgettable day of fun and fellowship all while supporting amazing, life impacting causes!